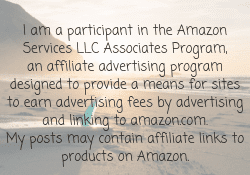 Little Family Adventure some times receives complimentary products, hosted travel, and/or compensation related to shared content. This story may contain affiliate links. Purchase through our affiliate links and we receive a small commission without any extra expense to you! One of the highlights of traveling is trying new foods and different local restaurants. On a recent trip to Minnesota I explored three cities in the suburbs of Minneapolis Northwest; Maple Grove, Brooklyn Center, and Brooklyn Park. 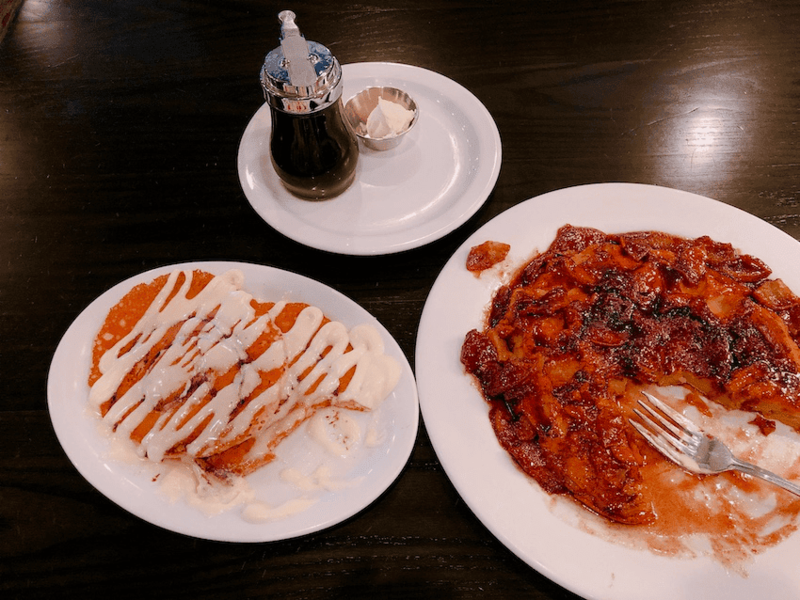 I discovered some great hearty breakfast spots, diners that have been local staples for years, a whimiscal tea house, and an international fusion restaurant that should serve as an example of what healthy food should taste like. 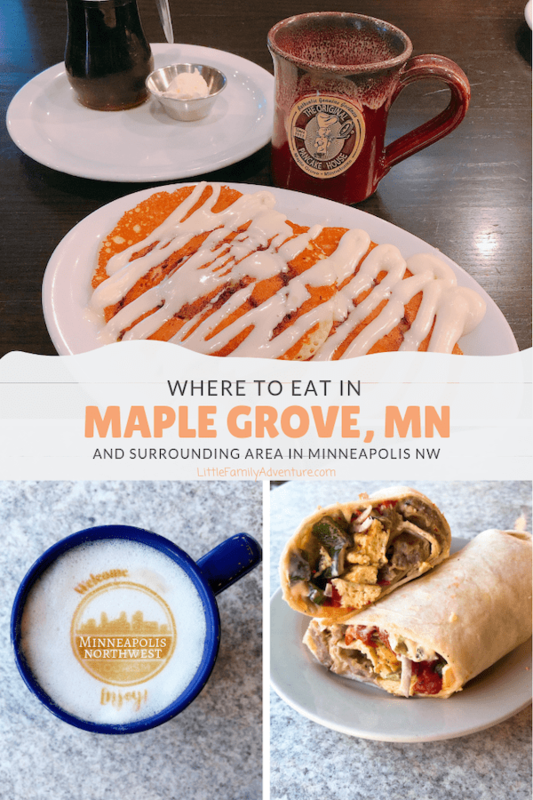 Let me inspire you to come venture out of the big city to visit the suburbs and eat at these restaurants in Maple Grove MN and surrounding areas. .
I’m going to start this list of Maple Grove restaurants with a cake shop because you may actually want to start off with dessert or have cake for breakfast. A cake or a cupcake does have some of the major food groups; grain, dairy, chocolate, vegetable (carrot cake), etc. This is a no judgement zone, but I’m all for cake for breakfast. Nadia Cakes is a local bakery in the Arbor Lakes area famous for their award winning Cheesecake Cupcake, April Fools Unicorn Poop Cupcake, and a Geode Rock Cake. They have won awards on Food Network’s Cupcake Wars and Holiday Baking Championships. They sell a variety of cupcakes, cakes, pies, cookies, ice cream, and beverages. The flavors offered daily change regularly, but there are always at least 12 different ones including gluten aware versions. 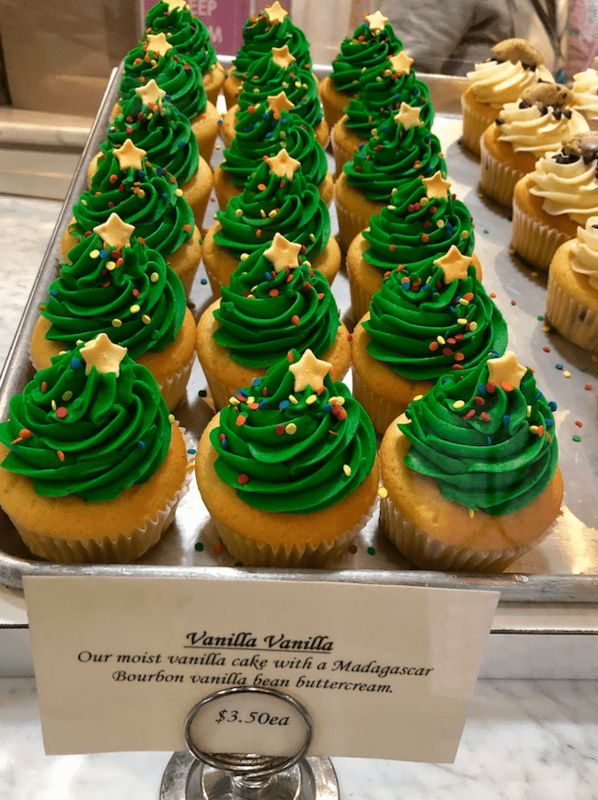 There are 285 combinations between their seasonal, monthly specials, and regular staple cupcakes. A list of current flavors can be found on their website. 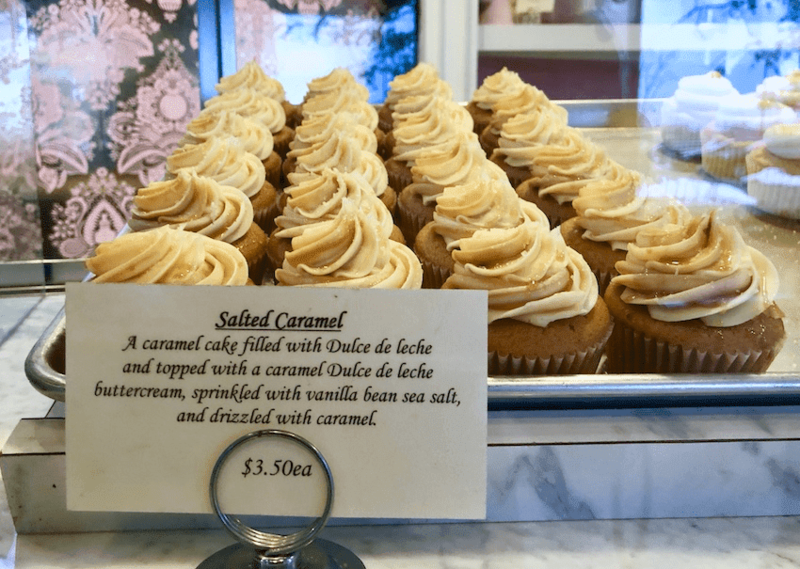 The Cheesecake Cupcake and the Salted Caramel are by far my favorites with the plain vanilla a close third. Be on the look out for their twice a year $2 cupcake sale. When it happens, the line is out the door and around the corner. This may be a nationwide chain, but they have perfected pancakes and serve a great cup of coffee. It’s not just buttermilk pancakes either. They have everything; oven baked, sourdough, buttermilk, buckwheat, and fruit topped pancakes plus other breakfast options. One house specialty is the Dutch Baby, an oven baked German pancake that is light as a feather. It puffs up as it bakes and then once removed from the oven deflates in the center to form a pancake bowl. You can enjoy it dusted with powdered sugar, topped with fresh fruit, or made it savory with fresh vegetables and cheese. Another specialty is the Apple Pancake, an oven baked pancake with sautéed cinnamon apples. This is what I had on my last visit. It’s an egg based pancake that reminds me of a dense, eggy, bread pudding topped with cooked apples. You get one gigantic pancake per order and it’s enough to feed two people. Be sure to check out the specials board too. During my visit they had Cinnamon Roll Pancakes. These buttermilk pancakes have a swirl of cinnamon filling and topped with a cream cheese icing. They are sweet, but ohhh so good! If I had to decide between apple or cinnamon roll, then it would be cinnamon roll pancakes hands down. I liked them so much that I plan to experiment in the kitchen and make these at home soon. Watch for that recipe. This local favorite gets its name for serving 3 square, scratch made meals a day; breakfast, lunch, and dinner. It’s an inviting neighborhood style restaurant in Maple Grove’s Arbor Lakes area and has been serving the community for over ten years. When you dine here expect comfort food like mom would make. Many breakfast items are available all day so you can enjoy breakfast, brunch, or brinner any time. 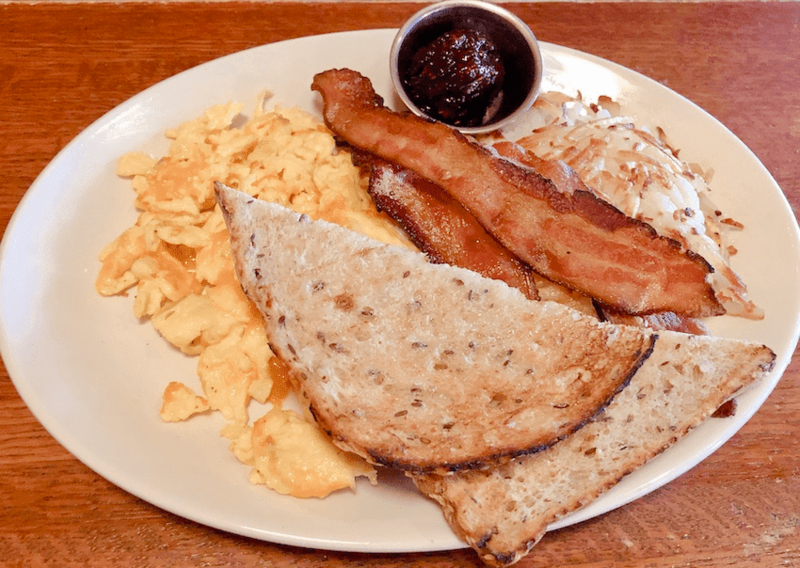 This is the American Breakfast with house made bread and mixed berry jam, eggs, meat of choice, and hash browns. It’s classic breakfast fare done really well! Menu items are varied to please anything you are craving and the weekly features are what’s new in the kitchen. When I visited I had the Winnepeger Sandwich with sweet potato fries. 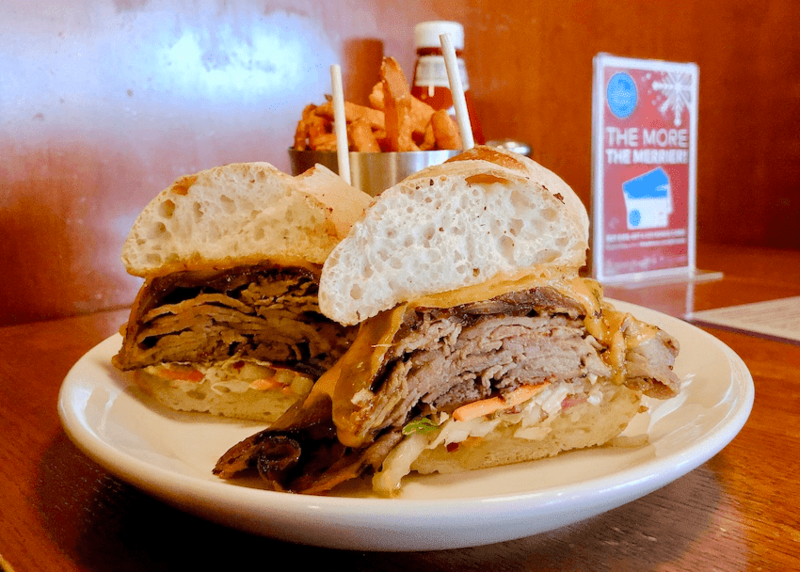 This is a roast beef sandwich served on a fresh hoagie roll with caramelized onions, cheddar cheese, bistro sauce, and coleslaw. You’ll need two hands to grab ahold of this sandwich. It is piled high with freshly sliced roast beef and will satisfy the biggest of appetites. 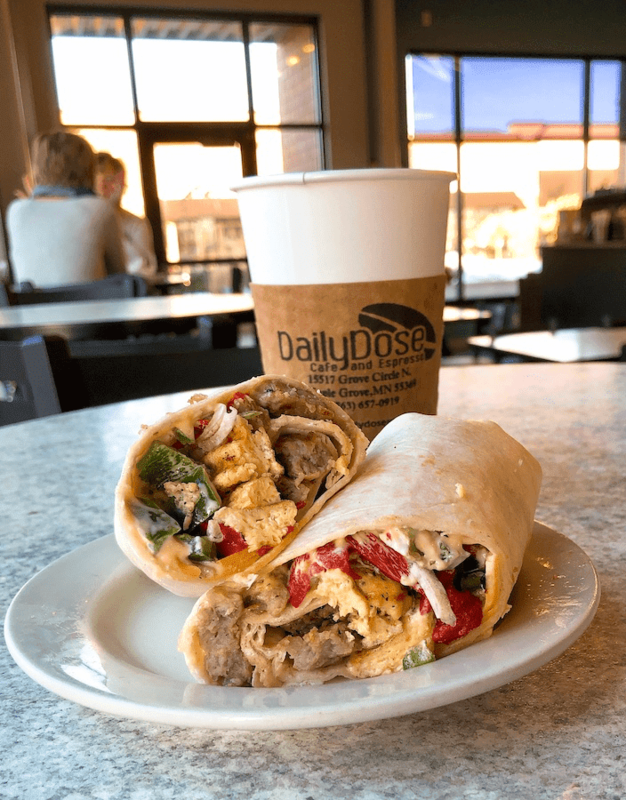 If you like to check out local coffee shops, give Daily Dose a try. 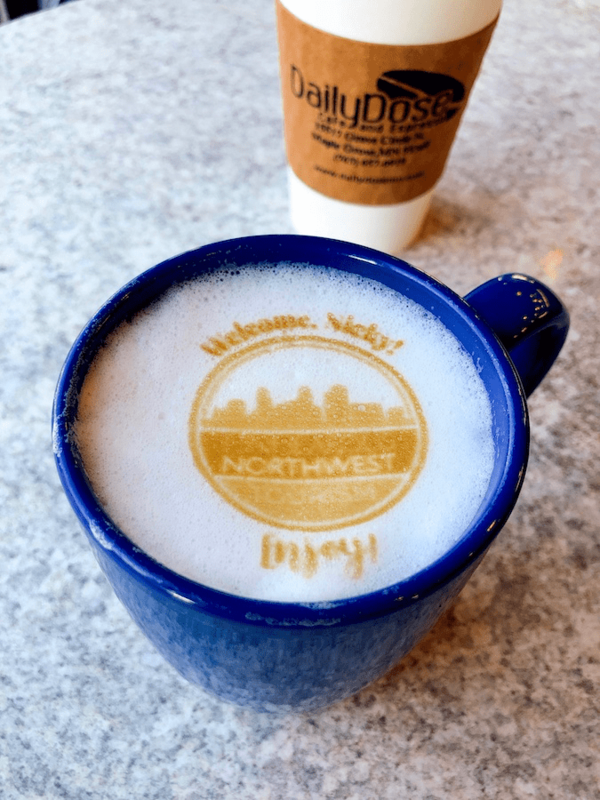 This locally owned coffee shop with locations on Maple Grove and Brooklyn Park has been voted best coffee shop in various local publications. They serve all your favorite coffee and tea beverages, plus breakfast items, sandwiches, and paninis. They also do fun things with latte art. For the holidays, they had a delicious gingerbread latte on the menu that was wonderful. Before my ski lesson at Elm Creek Park Reserve, I fueled up with their breakfast wrap with sausage, egg, cheese, and veggies (shown in the very first imageat the top). You can dine in or grab food and coffee to go. 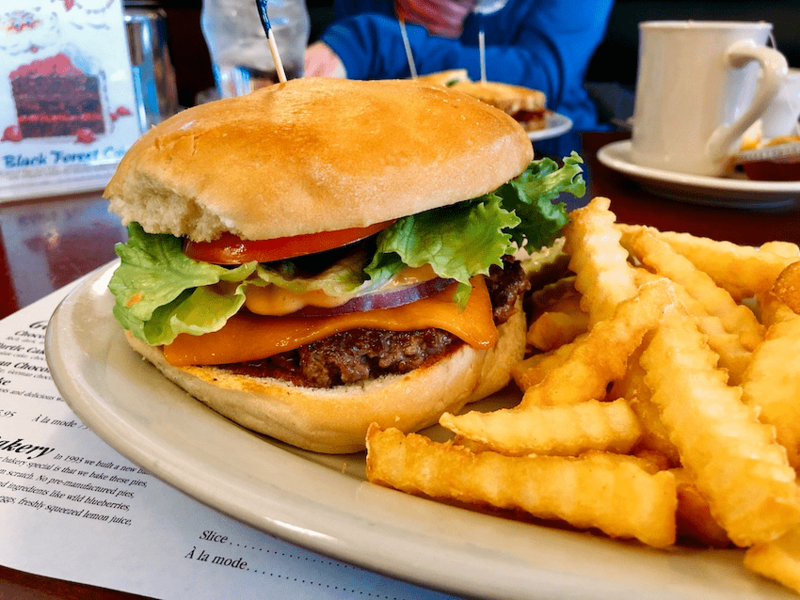 Get classic comfort food at this old fashioned diner in Brooklyn Center. For more than 20 years, this retro diner serves up great burgers, homemade chicken pot pie, milkshakes, and desserts. Check out the daily Blue Plate Specials and Sunday Dinners for classic favorites. You can’t go wrong with a cheeseburger, fries, and a milkshake here either. That’s what I ordered and then finished up sharing a slice of carrot cake. Burgers feature freshly made buns and in-house made patties. 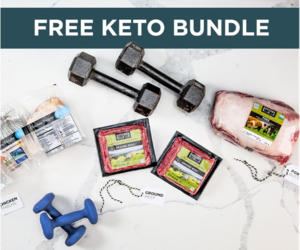 Looking for grass fed burgers? 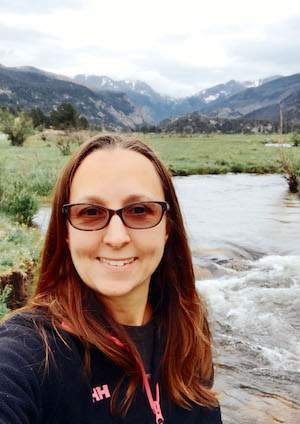 They offer a grass fed bison burger sourced from a Wisconsin farm. 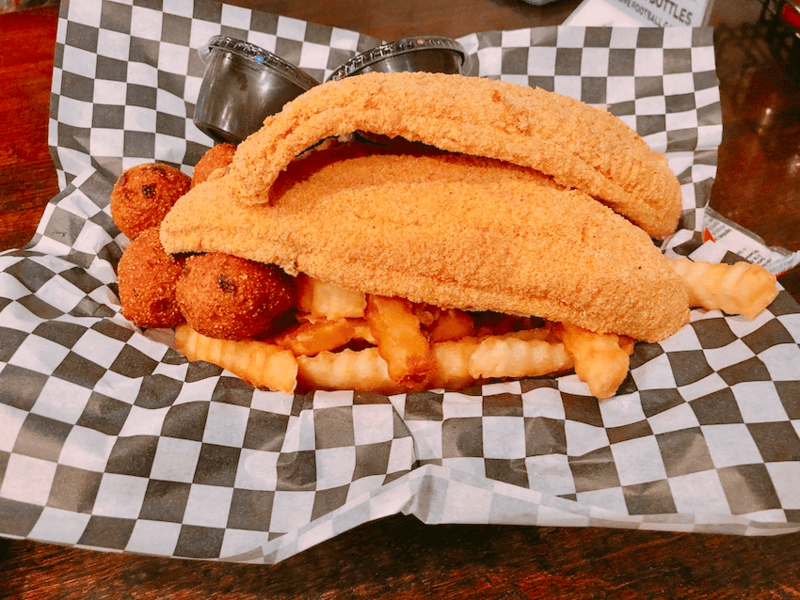 This is the place for fresh cajun style seafood in Brooklyn Park. 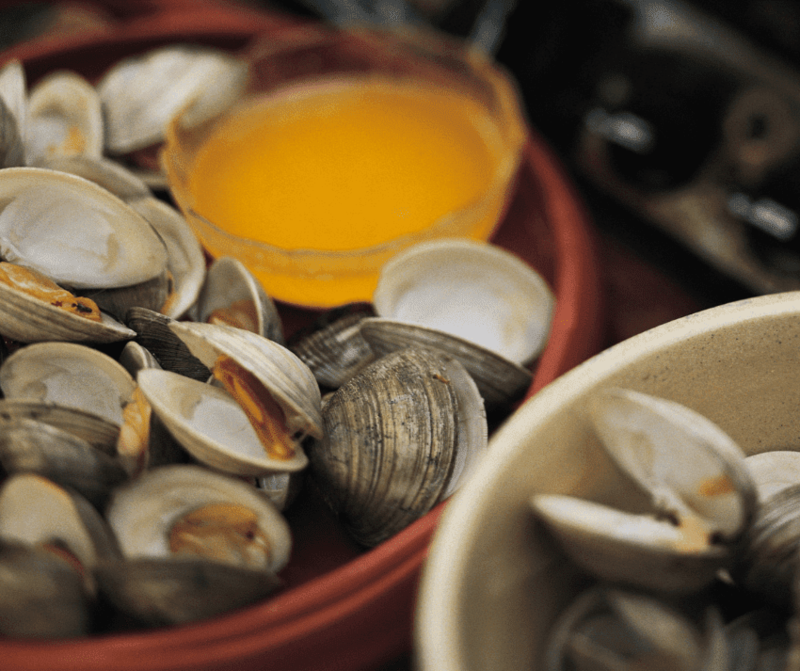 Locals love Crazy Cajun for their crab boils and steamer pots. Portions are huge and guests can dine in or take away. I’m told that it’s also a popular hand out for Minnesota Viking football players. I can neither confirm nor deny……. Build your own seafood boil with a combination of blue crab, clams, crawfish, shrimp, crab, mussels, and snow crab. For a heartier meal, add corn, potatoes, and/or sausage. Prices are based on weight at the market price. If you don’t want a boil, you can order and enjoy entrees like fried catfish or walleye, butterfly shrimp, and gumbo. When I visited, we ordered the small fried catfish basket. Portions are huge so its easy to share a basket. Hushpuppies are a must here too! Enjoy a unique dining experience inside Anoka’s historic Woodbury House. This stately home sets the stage for an Alice in Wonderland themed restaurant. Throughout the house, guests find whimsical decor and furnishings that reference Alice and the Mad Hatter’s tea party. At Mad Hatter, guests can choose from a daily a la carte brunch or the fixed menu tea service Tuesday through Sunday. It’s a popular place for lunch and for special occasions. Reservations are a must for the tea service which I highly recommend. You can choose between the Queen of Hearts full tea service, Cheshire Tea dessert tea, or Children’s Tea. Visit the website for a current menu for each. 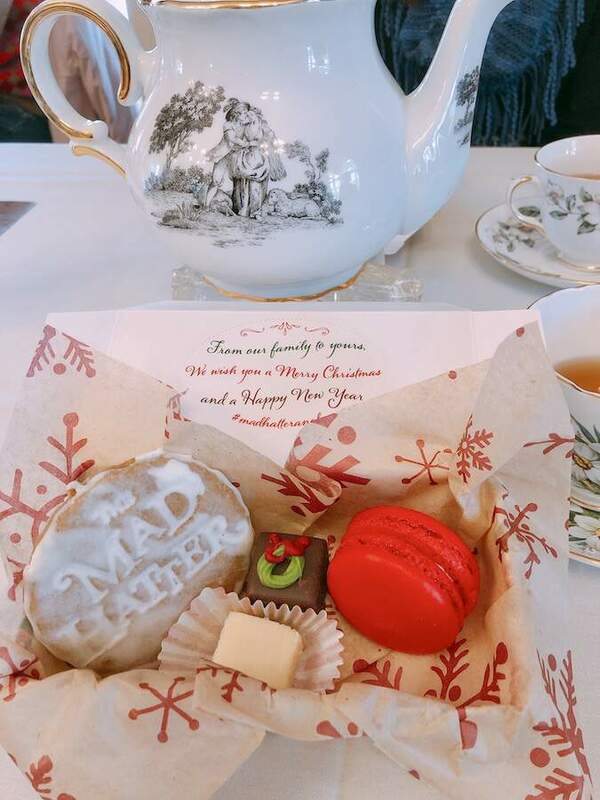 During the Christmas holidays, a special Christmas Tea is offered with fresh scones, finger sandwiches, wild rice hotdish (casserole), and other holiday themed treats. During my visit this is what I ordered and it was wonderful! It a set menu served on a traditional tiered serving tower. You select your tea from a list of offerings ranging from black, green, and herbal. Tea is unlimited, so you can choose as many as you like. My favorites were the Mom’s Blend and the Divine Temple Tea. 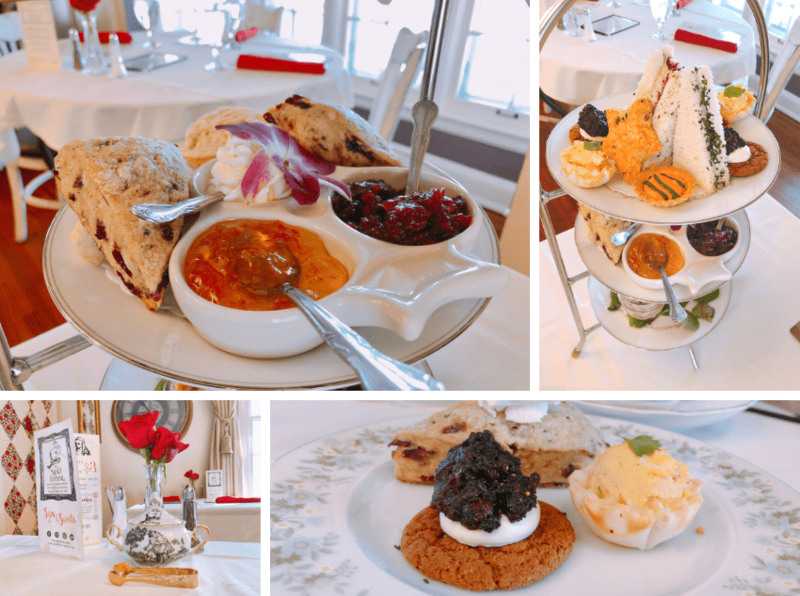 Afternoon tea is a leisurely paced meal and you should plan on 90-120 minutes. 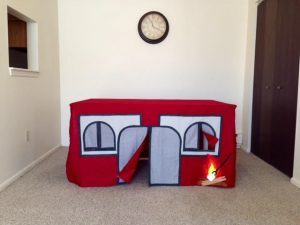 Guests can enjoy the experience, food, and company. I close this list of restaurants in Maple Grove, Brooklyn Park, and Brooklyn Center with NOLA, an international fusion restaurant. It’s located near Maple Grove in Osseo, another northwest Minneapolis suburb. This was my favorite because it was unlike anything restaurant I’ve been to before. At first glance, I thought NOLA was an upscale spot for New Orleans style cuisine. Turns out, I was VERY wrong because it is so much more! 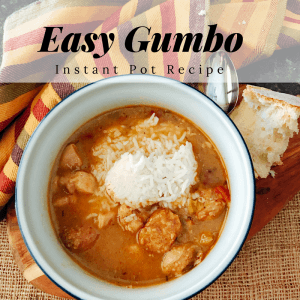 There are New Orleans style dishes like jambalaya and red beans and rice, but there are other dishes that transport you with flavors from around the world. There’s Indian, Thai, Japanese, Middle Eastern, and other cuisines represented on their menu. The focus isn’t a single type of cuisine, but instead on the combination of spices to provide a mouth watering food experience. NOLA’s owner and head chef brings her in-depth knowledge of international spices and culinary skills into each menu offering. Each ingredient is carefully selected to provide you with a culinary experience you won’t forget, EVER! Everything on the menu features fresh ingredients and spices ground in their in-house spice shop; Ajika. It’s all scratch made, clean eating goodness. It is what all healthy food should aspire to be. 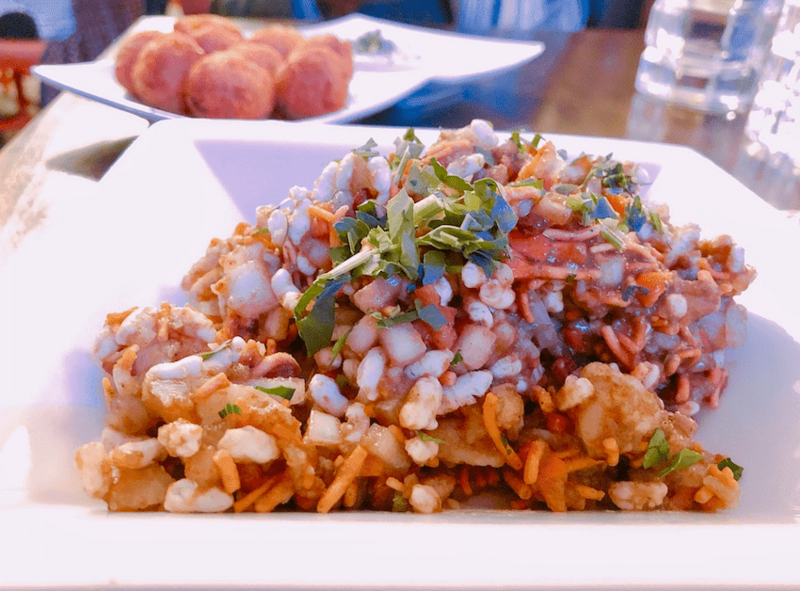 During our recent visit we had and I highly recommend the following: Bhel Mumbai Street Food as a starter, signature salad with house dressing, Shrimp Étouffée, and Japanese Yakitori. Bhel is something that was new to me before NOLA. It’s a combination of rice puffs, fried lentils, potato, spices, and tamari sauce. Like several items on the menu, this is gluten free and vegan. For those with special diets, the chef can easily accommodate vegan, vegetarian, and gluten free in the dishes. 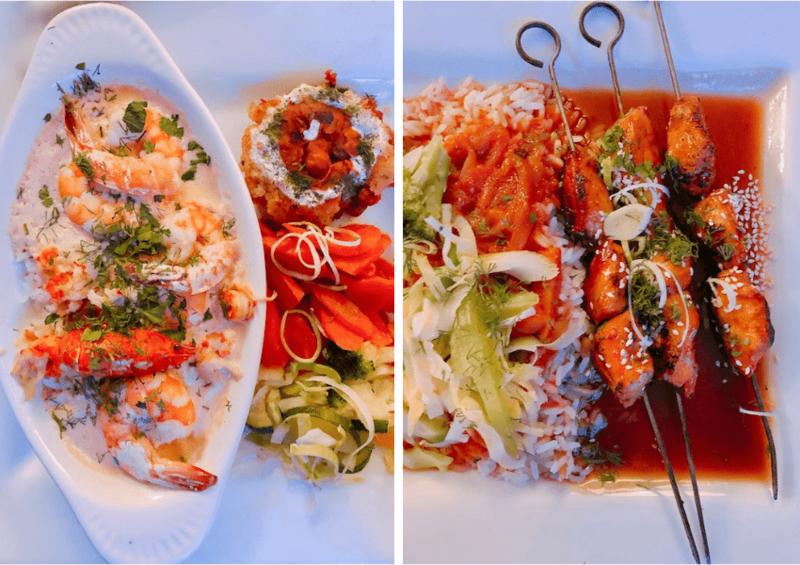 Both the Shrimp Étouffée and Japanese Yakitori delight the taste buds and the eyes. You can look up other Yelp reviews and see that other diners loved it as much as I do! These are just a handful of restaurants in Maple Grove, Brooklyn Park, and Brooklyn Center (the northwest Minneapolis suburbs). 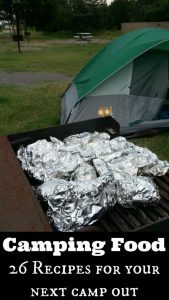 Heading out of the Twin Cities and into the suburbs can be richly rewarding judging by what we ate on our last trip to the area. I was happily surprised at the vast array of ethnic restaurants in Brooklyn Park and Brooklyn Center. 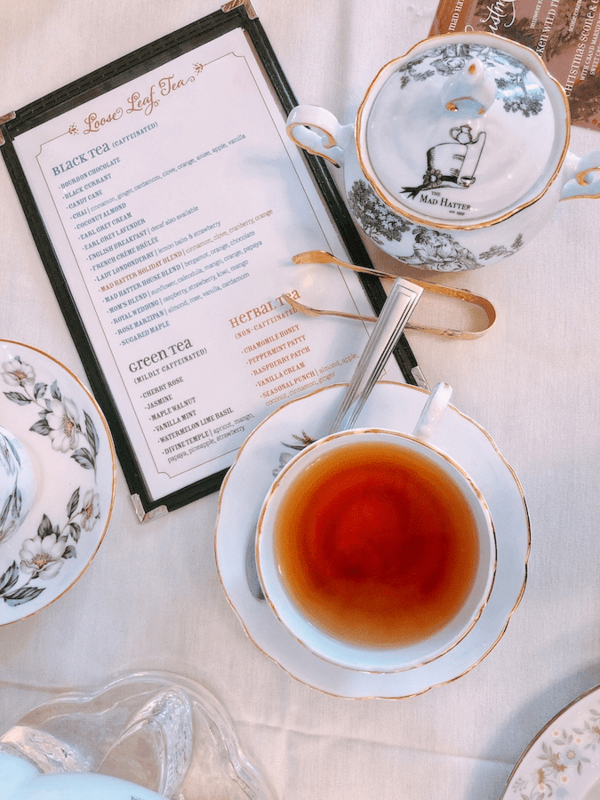 From the newer Ban Mi restaurant called The Lotus and Patrick’s French bakery, to Portillo’s Chicago eatery, there are so many great place to try in this area. Start with this list and then branch out from there. 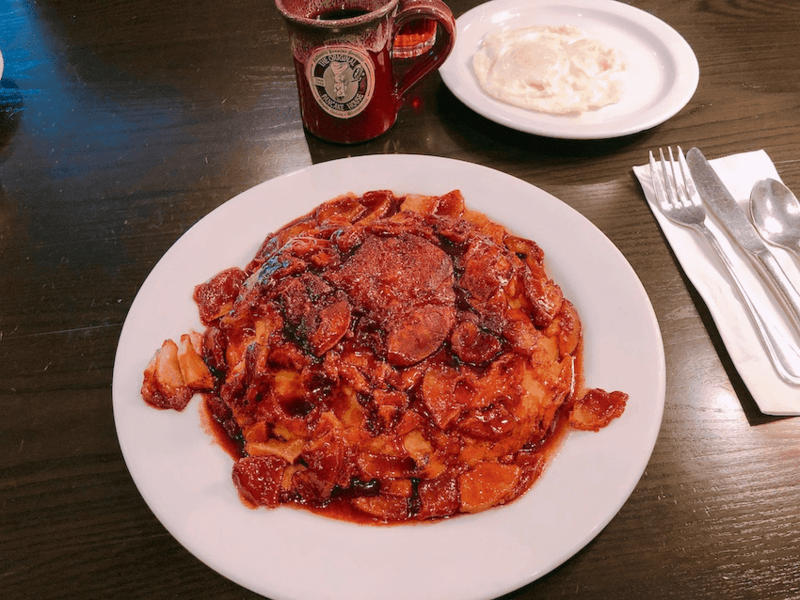 Treat yourself and your family to great food and then discover these things to do in Minneapolis Northwest with teens. Before your next visit, check out the Minneapolis Northwest Tourism website for a current list of new restaurants, events, and area happenings. There is always so much happening here that you’ll want to experience it for yourself. The area proves that getting out into the suburbs can be a great family adventure. RELATED: While in the area, if you are looking for a hotel, we like the Holiday Inn Maple Grove MN. It features spacious rooms and the Venetian Water Park, one of the area’s only indoor water parks. Also check out these other Twin Cities Restaurants and Minnesota State Fair Foods under $5. Are there other area restaurants you’d recommend? Tell us in the comments below so we can check them out on our next trip. Thanks to Minneapolis Northwest for arranging and hosting our recent visit. We were compensated, but share only honest opinions.